another interesting show, and you touch on interesting related subjects.everything has a cost benefit analysis we are torn between the waste of individual cars, and sitting on a motel bed that has been out of our control. If I’m going to the same place often the most efficient energy-wise is public transportation. the down side is I’m sitting next to the jerks instead of driving, and don’t have the freedom to change lanes. As I understand it no public transportation system operates in the black, yet as driver-less systems evolve that seems to be possible to overcome. If we aren’t paying for three overlapping shifts with 6 weeks accrued vacation, we reduce the cost significantly. 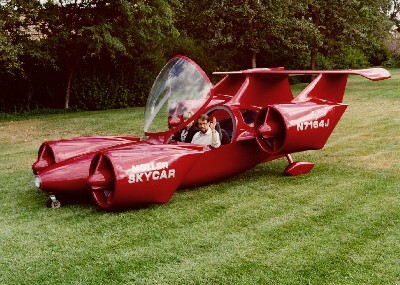 the draw for a flying car like the Jet-son’s is time savings. So to see it as more than a novelty and free up time, I can’t see it. I see a multi-stage approach like Walt Disney proposed with the monorail and people mover. And now with connectivity I could tell the Bus stop when i start walking where I’m headed and there isn’t enough demand to justify a bus a small one to four person electric car takes me to a point where I meet up with a trunk line a bus or hyper-loop tunnel. And the loop system seems the most cost effective and dynamic. To move mass numbers to fixed points, and the ability to also transport individual cockpits as well. Which would facilitate individuals that need an option of going off the fixed system such as taking clients out for business lunches the cockpit could fit into a common company car frame without any of the unpleasant motel common area problems. If we free up parking for 90% of employees that is more for customers and for places bringing large crowds if we could offer individual riding compartments for groups more people will be drawn to the system, and if it is faster and more hassle free, the better the draw. The only real draw for a flying, or more a mag-Lev car would be wilderness areas, we would reduce impact or human footprint so flying campers that used super conducting magnets to opposed the Earth’s magnetic field could noiseless float tree top height and land on columns for minimal impact.